Investors are getting deluged with earnings reports this week. Today has been particularly hectic. It's hard to keep your head above water. But here's a quick look at some of the key trends that are emerging from this earnings season. There is also growing evidence that one key part of the U.S. economy -- housing -- is picking up steam, too. Homebuilder D.R. Horton (DHI) said Wednesday that the spring selling season was off to a "strong start." Pepsi (PEP), Procter & Gamble (PG), 3M (MMM), Hershey (HSY) and Eli Lilly (LLY) all said on Thursday that their sales were impacted by currency fluctuations. Expect more concerns about the strong dollar from Microsoft (MSFT) and Google (GOOGL) when they report their latest results after the closing bell. 3. The strong get stronger ... no matter what Wall Street says. Facebook (FB) reported ridiculously strong results ... but the stock barely budged on the news. You could argue that investors wanted more. And Wall Street is all about expectations. Facebook isn't the only company to report results that didn't overly impress Wall Street even though earnings were awesome. 4. America loves a comeback. McDonald's (MCD) is not doing well. But its stock surged Wednesday because there is at least hope that the new CEO understands the company's many problems and can get things back on track. McDonald's rival Yum! Brands (YUM) popped as investors bet that the worst is over for the company's KFC unit in China. 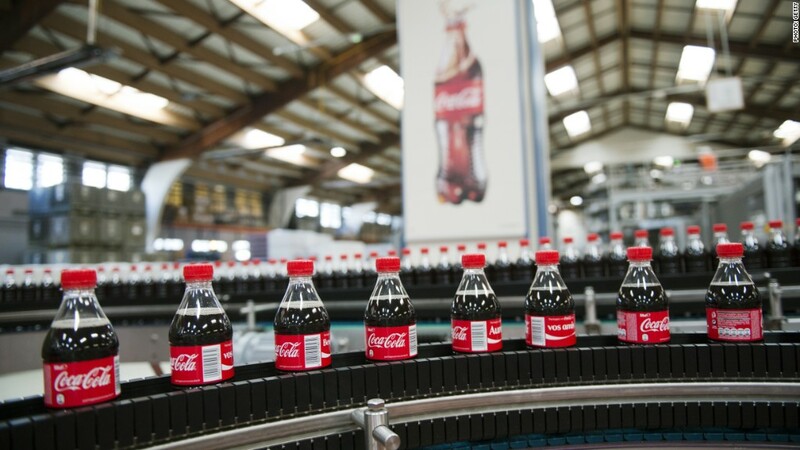 Coke (KO) rallied despite sluggish sales growth. That's because weak growth is better than the lack of growth investors had grown accustomed to. And eBay (EBAY) was a big winner Thursday after the company gave more evidence that business is stabilizing in its core marketplace business just as it gets ready to spin off the more rapidly growing PayPal unit. 5. Junk food is back! Hershey didn't give investors any Kisses with its earnings. But Dunkin' Brands (DNKN) and Domino's (DPZ) were both soaring Thursday after each company reported strong sales and profits. It's interesting that these companies are doing well at a time when many economists have been talking about weak retail sales overall. What's more, consumers are supposedly trying to eat healthier as well. Emphasis on supposedly. In reality, it looks like consumers are still willing to indulge on guilty culinary pleasures like donuts, ice cream and pizza.